A very intense summer season for the Cosmos Quartet will finish with the recording of its first album, INFLUENCES. 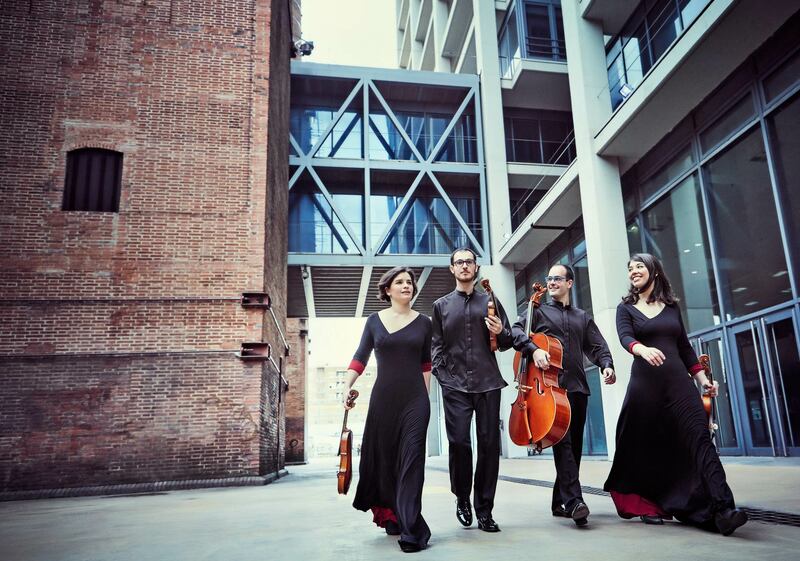 The multi-awarded chamber ensemble composed by Helena Satué and Bernat Prat, violins; Lara Fernández, viola and Oriol Prat, cello, the Cosmos Quartet, will tie a summer season filled with outstanding engagements to consolidate their artistical proposal with the recording, at the end of September, of their first album as a regular quartet. Recognized at the beginning of this year 2018 with the prestigious 1st Award in the Heidelberg International Competition, organized by the Irene Steels-Wilsing Foundation and the Musikfestival Heidelberger Frühling, Cosmos Quartet is one of the most solid and with greater international projection of the moment. The music production team of N (related to Neu Records, Santi Barguñó and Hugo Romano) and Seed, the publishers, are ultimating the details for this recording that will happen at the beginning of this coming fall. The well-respected journalist and musical critic Antoni Batista will be signing the record’s booklet.